Project implementation is undertaken exclusively by local workers, including construction, education and management. The team is headed up by our Field Director, Canon Baingana Eric Mugyenzi and includes technical and educational groups, plus core admin staff. 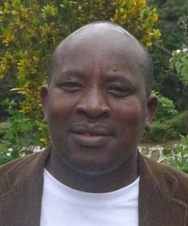 Eric, who is a Canon of Rukungiri Cathedral, became WATSAN’s Field Director in 2011 after completing a course at WEDC at Loughborough University, at which he gained a certificate in Water Development in Developing Countries. Prior to that, he worked for a number of years at Kinyasano Girls’ High School, where he multi-tasked in at least five different roles at once, including teacher, Chaplain and Head of Catering. Eric is married to Constance and they have four children, three of whom are at university and one is still at school. 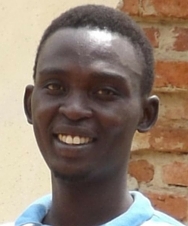 Milliam graduated at Bishop Barham College, Kabale, of the Uganda Christian University with a Bachelor degree in Business Administation, specialising in Accounting and Finance. She joined WATSAN soon after. She is thoroughly efficient and punctilious in her management of the project’s finances, and ensures that the annual audit runs smoothly. She was married in 2014 and, following her first baby, has recently given birth to twins. Marius has a nursing background and joined WATSAN in 2010 as Software Team Leader. Subsequently he has moved into the new role of Sustainability Coordinator, responsible for supporting communities in the maintenance and administration of their projects. WATSAN has its headquarters in Rukungiri, and Moses undertakes the important role of looking after the interests of WATSAN and its beneficiaries in Kinkiizi Diocese, including working closely with the Sustainability Coordinator in relation to projects in his area. The hardware team are responsible for designing and building the various structures that provide life-saving access to water and sanitation. Supervised by the Project Engineer, they consist of plumber Dickens Magezi and a team of masons/artisans (‘fundis’), who work on contract terms during times of construction, which is undertaken in collaboration with local rural communities and water sector officials of the district local governments. 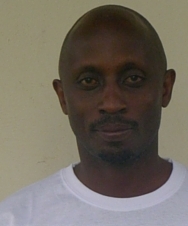 Vincent is a qualified engineering technician who works part time for WATSAN whilst also holding the post of Chief Engineer at Rukungiri Town Council. The software team is responsible for community mobilisation, and all the educational and training requirements of the organisation. Every project includes an educational and training element to ensure that the local community is fully committed to the project before, during and after implementation. The software team seeks to equip the community in their task of maintaining and administering the project. 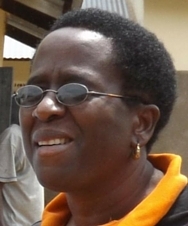 Alice has many years experience as a senior social worker at Rukungiri Town Council. 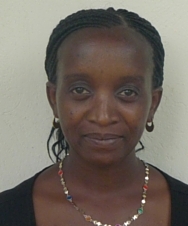 She provides her services to WATSAN on an ad-hoc basis, and supervises and coordinates the team, including Sam Mugirobusingye, the Software Team Leader.